What: A full day riding the backroads and trails of East Central Kansas, featuring regional sites and points of interest. Sign-in at the Friday night social or Saturday morning breakfast served by our local VFW. After the ride we’ll have a great steak dinner served by the Lions Club and enjoy live music at the fairgrounds. (follow signs). Rides cover Anderson and adjacent counties. minutes south of Ottawa, and 50 minutes SW of Olathe. contact city hall during business hours at (785) 448-5496. • Motels: The Kirk House, 145 W. 4th, Garnett. $65/night. Call (785) 448-6500. Garnett Inn & Suites: 109 Prairie Plaza Pkwy, Garnett. Rooms $65-$68/night, RVs $17/night. Call (785) 448-6800. Economy Inn, 604 N.Maple, $49/night, (785) 448-6816. IF YOU HAVE A GROUP OF PEOPLE WHO WOULD LIKE TO RENT A CABIN IN THE WOODS (ACTUALLY ON THE TRAIL RIDE TRAIL HEAD) ALL THE AMENITIES, SHOWER, 2 KITCHENS BBQ GRILL, BUNKHOUSE, PLEASE CALL BURT PETERSON 913-208-8183 WE HAVE TWO POTENTIAL LODGING ACCOMMODATIONS FOR 9+ THAT WANT TO THROW TOGETHER AND HAVE A TIME! 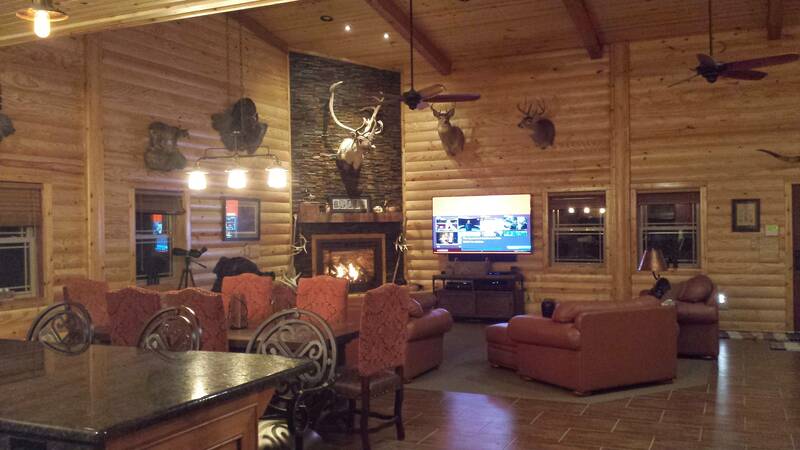 THEY ARE PART OF THE HUNTING LODGE THAT THE TRAILS LAND OWNERSHIP HAS TO OFFER. There is absolutely no excuse for what I am about to do. I have ridden the roads and the trail for this ride and both are worthwhile. The road routes take you to some of the best scenery in the area. The trails are on private land and can be challenging. I can recommend both the road routes and trails. The Company/person that owns the trails for the Dual Sport Safari in Garnet has a "Cabin" and a "Lodge" they are offering up for rent for our event. Normally these are luxury Hunting Lodges. But for this purpose if you are coming to the event and have a group of buddies/family looking to get away. This would be a really neat place to go together on. Bring the wives kinda thing. 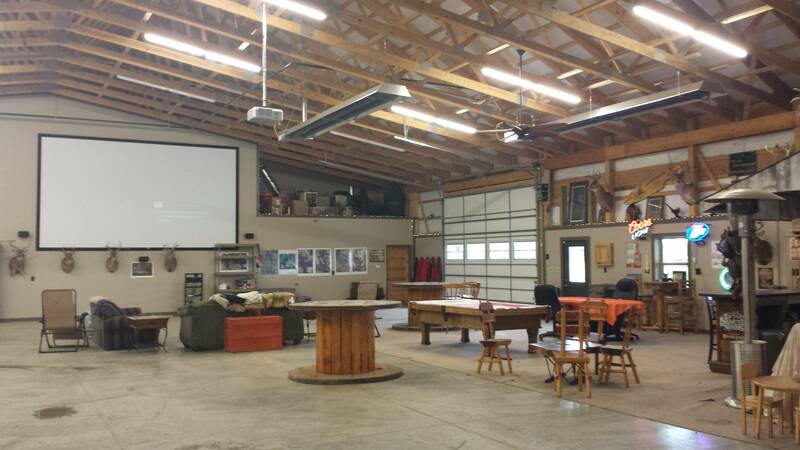 The lodge is a 90X120 building with very NICE living quarters and a 200+" big screen with bbq grills everything you could want. It also dorns a Tree house that is about 16' off the ground with bunk beds and a living room. Kids dig it big time! so do grand kids. The Cabin is a popular hang out for the boys with bunk style sleeping accommodations and a very nice kitchen bath etc. all the amenities of home. Both of these buildings are at the opposite ends of a 400 acre spread that is the Trail Head of the trail ride (last year we didn't get to go there due to a funeral being hosted here). These are very nice accommodations that people rent for a vacation. But they are not advertised and this is a special deal because they believe in what the local Lion's Club does for the community and the children's vision projects. Anyway here are some images. If you have more than 4 people coming (including wives/kids) this is something you SHOULD look into. PM me and I will get you rates and details etc. It will work out to be below a hotel if you have more than 6 in your group. And to say nicer doesn't quite cover it! Holler at me if you are interested. We will have the following rides/ride leaders at the Dual Sport Safari this year and we are pleased and grateful they have chosen to pitch in and assist us with the ride. William Brentlinger (not sure I spelled that right): known as the Biggest thing in dual sport riding. He will be the ride leader for "Big Bikes" he will be heading west and pretty much anywhere he wants to go. All will be big bike friendly. He knows this part of the state as well as anyone alive and will show you a great time. If you are a big bike rider, this is your route. My guess is you will eat good, and make new friends on this ride. Thanks Bill! Dane Hicks: solely responsible for this event, and I still blame him for that. Dane has worked very hard to come up with a great scenic and fun filled route for this year. This will have water crossings and min. maintenance roads. Anyone from beginner to advanced will have a great time on this ride, it is not a trail ride. It is roads and min maint roads. Good dual sport ride. No u-turns this year. Larry Webber: A legend of the sport. If you have not had the opportunity to ride with Larry, you have missed out on a truly knowledgeable and skilled ride leader! Nobody ever knows where Larry will lead you because he knows every road in the state, but you will be all smiles and talk about it for years. Roads and Min Maint Roads, water crossings Larry knows them all. Beginner to advanced will be welcomed. Not sure where the lunch meal is at but Larry knows every dinner and cafe in the area. Derek Smith: This boy can ride! He likes to roost, go fast, and it is all orange with DS! Trails, Trails Trails. You will not want to join this if you are not proficient off-road. Your bike must be prepped for off-road riding if it is not, you can't go. Street legal bikes are also required. We do have to ride gravel to get to the trails we have for this year. Derek is as nice and knowledgeable as they come and he will be able to show you a good hard day of trail riding and showing off. Burt Peterson: I like to go fast also, but I am not as good as Derek! So if you like Trails but don't want your hair on fire. This is your team. We will be riding the same trails as Derek, just slower. You will have to have Off-road prepped bikes and tires, Street legal required, and I think (not a 100% yet) but this year we may be eating BBQ on the trail at one of the cabins that I posted earlier, swing off the trail at the cabin cook up some burgers and stretch. People on the ride will help us decide. If they want to go to town we can do that also. Majority rules. No matter what group you ride with, we require you to be prepared. Make sure you bring a reliable bike, and have what you need to change a tire! If you are the one who breaks down and doesn't have the equipment to fix you make everyone's day bad. Don't be that guy/gal. We will have a chase trailer available for any major breakdowns if the need arises. Do not sign up for a group that is above your skill level! We are out here to have fun and do what we do safely. We are blessed to be surrounded by generous capable people who give of their time to help put on this ride, and we hope to raise some funds for the Lions Club to do what they do! Thanks for your interest and we will see you on the trail! If you have questions feel free to PM Dane or Myself. Oh and don't leave right after, we have two great bands this year! One Rock/Classic Rock, and one purely country! Get yourselves registered it helps us to plan!